Button Head Cap Screw, 2-56 x 1/4", 6 each. Button Head Cap Screw, 2-56 x 3/8", 6 each. Button Head Cap Screw, 2-56 x 1/2", 6 each. 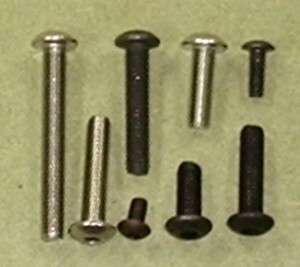 Button Head Cap Screw, 2-56 x 3/4", 6 each. Button Head Cap Screw, 2-56 x 1", 6 each. Button Head Cap Screw, 4-40 x 3/8", 6 each. Button Head Cap Screw, 4-40 x 1/2", 6 each. Button Head Cap Screw, 4-40 x 5/8", 6 each. Button Head Cap Screw, 4-40 x 3/4", 6 each. Button Head Cap Screw, 4-40 x 7/8", 6 each. Button Head Cap Screw, 4-40 x 1", 6 each. Button Head Cap Screw, 6-32 x 1/2", 6 each. Button Head Cap Screw, 6-32 x 5/8", 6 each. 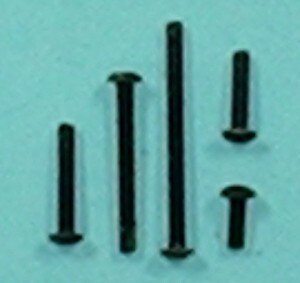 Button Head Cap Screw, 6-32 x 1", 6 each. Button Head Cap Screw, 8-32 x 1/2", 6 each. Button Head Cap Screw, 8-32 x 5/8", 6 each. Button Head Cap Screw, 8-32 x 3/4", 6 each. Button Head Cap Screw, 8-32 x 7/8", 6 each. Button Head Cap Screw, 8-32 x 1", 6 each. 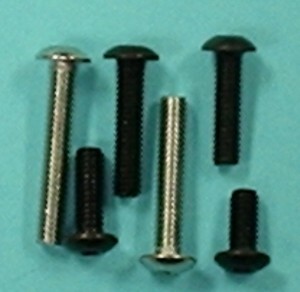 Button Head Cap Screw, 10-24 x 5/8", 6 each. Button Head Cap Screw, 10-32 x 3/8", 6 each. Button Head Cap Screw, 10-32 x 1/2", 6 each. Button Head Cap Screw, 10-32 x 5/8", 6 each. Button Head Cap Screw, 10-32 x 3/4", 6 each. 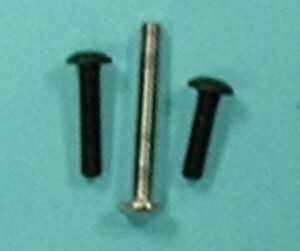 Button Head Cap Screw, 10-32 x 7/8", 6 each. Button Head Cap Screw, 10-32 x 1 1/2", 6 each. Button Head Cap Screw, 10-32 x 1", 6 each.